Watch video episodes and clips from NBC's "The Office. Catch clips from the latest episodes of "The Office"
Miss an episode on TV? Watch full episodes of recent shows, web exclusives with deleted scenes and behind the scenes videos. Read character's blogs, behi d the scenes features and video clips not shown on television. The half-hour comedy "The Office" is based on the award-winning BBC hit. The program premiered on America's NBC-TV in March 2005 and has been a hit ever since. "The Office" is a fly-on-the-wall "docu-reality" parody about modern American office life and the lives of the workers at Dunder Mifflin paper supply company in Scranton, Pennsylvania. Regional manager Michael Scott (Golden Globe winner and Emmy nominee Steve Carell, "Get Smart," "Little Miss Sunshine") is a single, middle-aged man who is the boastful tour guide for the documentary. Select a recent episode of "The Office" to watch online free from Hulu. New clips are updated weekly. These video clips of The Office are provided courtesy of Hulu. Watch NBC's The Office feature of Michael Scott's "Threat Level Midnight" from February 17, 2011. © 2009-2011 EMOL.org TV Entertainment Magazine. All rights reserved. Buy Michael & Dwight together on Sale from the NBC Universal Store online: Shop now! 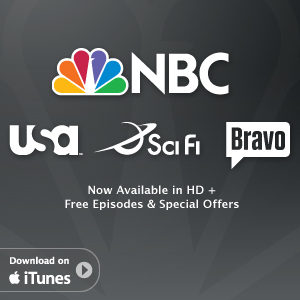 The official online store for NBC Universal, which includes products from NBC, Olympics, CNBC, USA Network, SCI-FI, Universal Studios and other movie studios. Browse a wide selection of products from DVDs, soundtracks and logo apparel, to jewelry and one of a kind collectible items. New items continuously added to the inventory and feature exclusive or limited-time only products. Find collectibles from today’s hottest televisions shows: Heroes, The Office, My Name Is Earl, Friday Night Lights, 30 Rock, Scrubs, The Biggest Loser and many more! Buy e-Gift cards available for the perfect gift. Available clearance and sale center for great deals. NBC Universal is the Official site for 2008 Beijing Olympics merchandise.